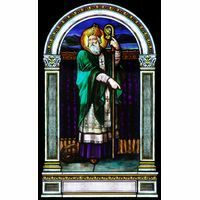 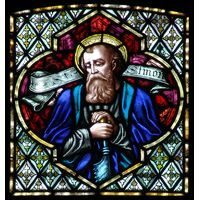 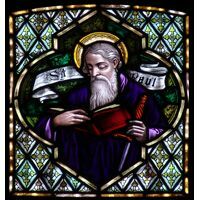 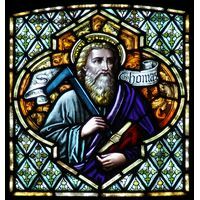 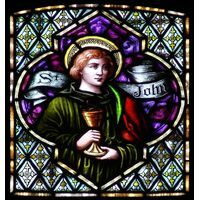 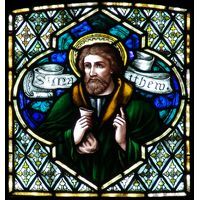 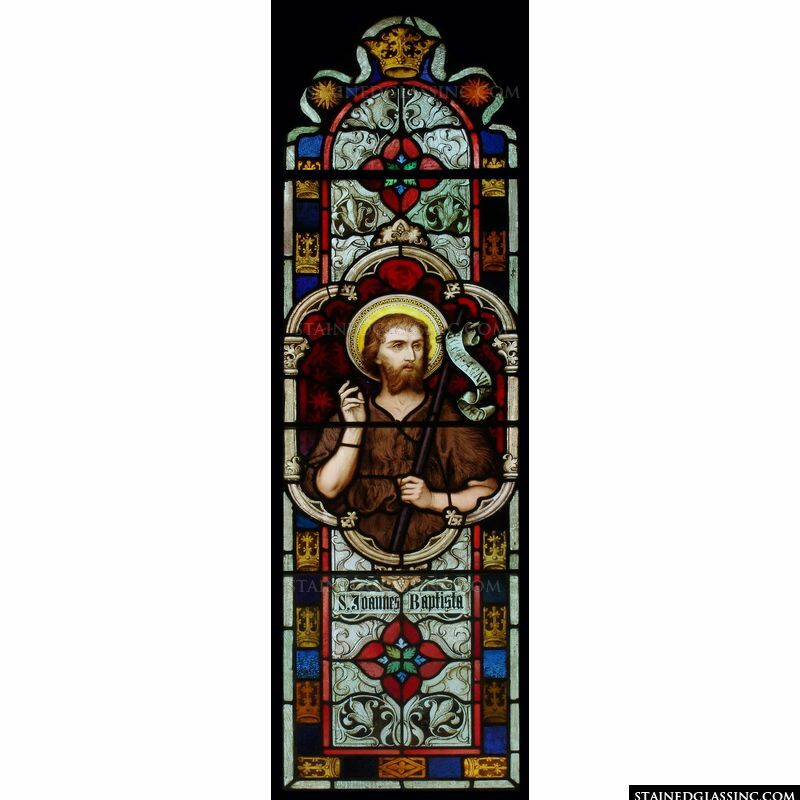 The portrait of John the Baptist, who foretold of the coming of Jesus to save the world, is characterized here in this lovely work of stained glass art. 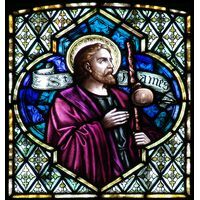 Flawless imagery that comes to life, touching the heart of everyone who experiences its beauty, and bold, vibrant colors that cross the spectrum, ensure that this stained glass masterpiece will become a treasured addition to church or chapel. 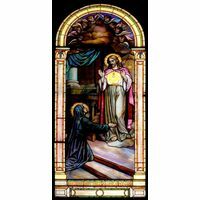 This window reflects and refracts the shifting shades of light as they play along the textures of this magnificent work of stained glass art.